Unlike competitors TomTom and Navigon, Garmin is one of the few navigation tools manufacturers which refused to launch iOS apps so far, in fear of cannibalizing its dedicated – and highly profitable – GPS devices business. 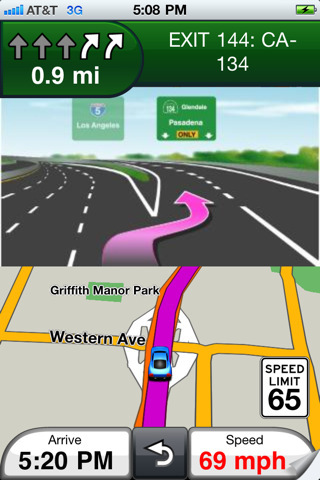 Resistance was futile, as the company finally decided to launch several navigation apps for the iPhone and Android, and at CES 2011 in Las Vegas, Garmin is showcasing no less than four new GPS apps. The first app, StreetPilot, offers a look and feel very similar to Garmin’s nüvi personal navigators, with a traditional menu and map interface, turn-by-turn directions, text-to-speech spoken street names, graphic lane guidance, and current weather conditions and forecast. 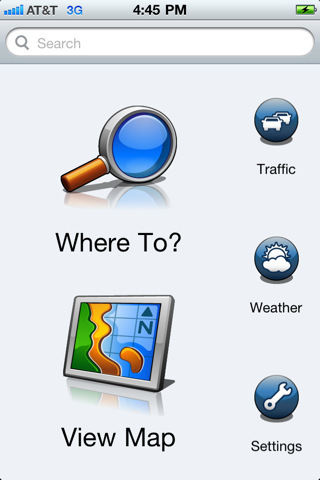 The app supports multitasking, and users can place and receive phone calls while the app handles background navigation. The app also offers real-time traffic updates to avoid traffic delays, and will notify you if you happen to drive faster than the speed limit. StreetPilot is available on the App Store for $39.99. Garmin Tracker: A new tracking app that works with the new Garmin GTU 10, a tracking device that allows users to track and monitor the location of their valuables. The GTU 10 can be used to track a car, children, suitcases, etc… The app is free, but the GTU 10 costs $199.99, and requires a $49.99 annual fee. MyMechanic: An app designed to track your car’s performance data, such as horsepower, fuel consumption, torque, and g-force, for Android devices. The app works with the Garmin ecoRoute HD device introduced at CES 2010, a device that plugs into your vehicle’s on-board diagnostics port. My-Cast Lite: a free weather application for Android and iPhone.